It's been quite a while since a bookish post made it's appearance here on Rebellious Writing! 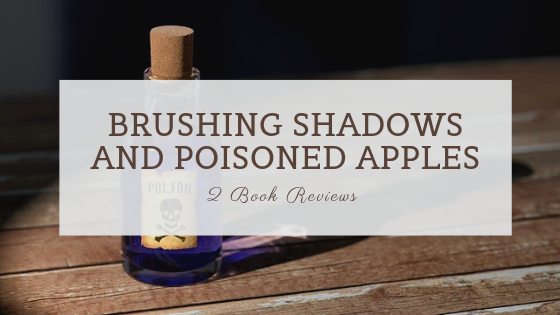 So for this post, I'll be giving a review of Lady Darby Mystery #6: A Brush with Shadows, and will be publishing RW book scout Rachel Kovaciny's review of the Five Poisoned Apples anthology. Disclaimer: All opinions are the reviewers', and may not reflect Rebellious Writing as a whole. Rebellious Writing's reviews and star ratings only apply to the work in question, not to every work by the author. Language: ☆☆☆☆🟉. There were a few instances of bad language, including at least one instance of "Jack---" that I remember. Most were said in the heat of anger, and not on general principle. Abuse: ☆☆☆☆ . Lots of family conflict. Mentions of an abusive husband. Lust: ☆☆☆. Multiple instances of alluded marital relations between husband and wife (and potentially pregnancy because of it), multiple allusions to affairs of a womanizer (and the paying off that happened after), multiple instances of illegitimate children. Not recommended for unmarried women, though it's perfectly acceptable for married women to read. Overall: ☆☆☆. I rather liked it for the most part. I'm not sure how I feel about the how the plot was handled though. I was expecting a much more plot-centric book like a standard mystery and this one was really focused on relationships and characters. It was pretty engaging, but there were a few times when it slowed a little. If you're wondering why in the world I'm reading the most recent book in a series without reading the first ones....I assure you I'm a victim of deception here. See, I saw it in a thrift store and thought it looked really interesting so I picked it up. There isn't a number anywhere on the cover so I had no idea where in the lineup this book was. I didn't realize until later that it was the most recent book of the series. Despite this, it was easy to get a feel for what the characters were and what the backstory is. - Gage. Best description I can say is that he is a MAN. Like, a real honorable gentleman, who is absolutely masculine and protective and downright attractive. - Kiera. Her name is perfect, and I liked her character. She's smart, has a dry sense of humor and has a wonderfully feminine soft heart. -The world-building was wonderful, including the social aspects. I felt as though I truly was on the English moors. - The amount of newlywed intimacy and alluded relations. I should note that the intimacy between the newlyweds was nothing immoral. However, as an unmarried woman, I don't really need to read that (nor should I really - it tends to lead me down paths that I shouldn't tread). I found it super distracting, and I felt that it took a little away from the plot in a couple of spots. Sometimes it worked and others it didn't. - The lack of plot drivers. By that, I mean that there was much more focus on characters and their relations with each other rather than the underlying mystery. I could understand why it was written this way a little because of the family history - however, I've read other historical mysteries that use that plot device much more efficiently. - The amount of illegitimacy and the somewhat shady way this particular society viewed it. I'm sorry, but marrying within the first few months of the child's conception doesn't change the fact that the child was conceived out of wedlock. The parties are still guilty of committing fornication, and it should not be emulated. As proven by the characters, that lifestyle can be passed down generations! And really, this idea that men can't control themselves is a bold faced lie. - There were some allusions to issues of class and morals that seemed just a little too modern for me. - I was rather miffed to see a cliche ending to this mystery. Everything else seemed original enough! Five retellings of the familiar fairy tale “Snow White and the Seven Dwarfs” by five different authors! "Falling Snow" by Skye Hoffert sets the Snow White story in a magical circus where all the performers and circus workers are magical beings... except one young girl. She works as a clown but aspires to be a tightrope walker, and she has no idea that everyone else is magical, least of all the circus owner’s handsome son. "Raven's Heir" by Jenelle Hovde has this little tinge of Robin Hood flavor that I dig. An orphaned princess seeks to unite her kingdom against her stepmother. She escapes the castle and finds help from a band of rangers, one of whom turns out to be the boy she was betrothed to when they were both very young. 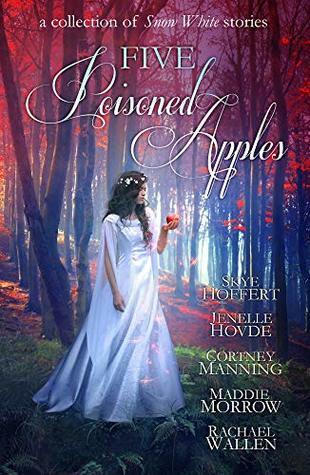 "The Fairest One" by Cortney Manning features a young princess who befriends an enslaved dwarf who helps her escape her greedy stepmother and seek assistance from the dwarven council. It's kind of got a bit of the story of Queen Esther from the Bible woven in as well. "Red as Blood" by Maddie Morrow is told from the point of the view of an assassin who's tasked with hunting down and killing a member of the royal family, but not told why, and the near-disastrous results. "Snowbird and the Red Slippers" by Rachael Wallen mixes the fairy tale ‘The Red Shoes’ with ‘Snow White’ and sets the whole story in a prestigious ballet school in New York City, with a poor North Korean dancer at the center. 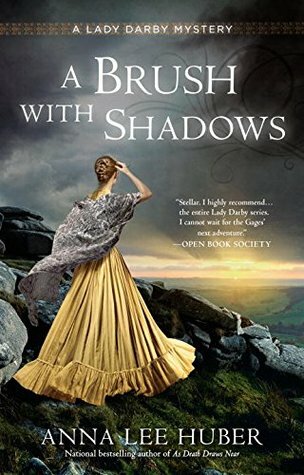 Passion, obsession, culture clashes, and envy all play a part, and I found it to be a stunning conclusion not only to this collection, but to this series as a whole. Rachel Kovaciny lives in Virginia with her husband and their three homeschooled children. She has independently published her book "Cloaked," a western re-imagining of "Little Red Riding Hood," and "Dancing and Doughnuts," another of her western re-imaginings of "The Twelve Dancing Princesses." In her free time, Rachel writes for the online magazine Femnista, reads, bakes, blogs, watches movies, and daydreams. You can check out Rachel's blog HERE. We graciously thank Rachel for this wonderful book review! 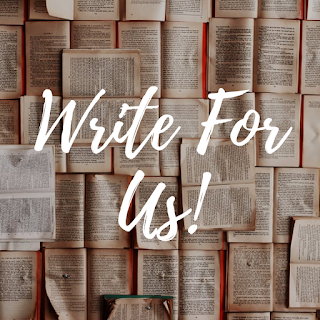 If any of you have any books to recommend to us, please leave a review of them in our Contact Form ~ we love receiving them! In the meantime, check back next week for more book reviews, courtesy of Julian Daventry! Keep fighting the good fight, y'all! Oh, good reviews! Five Poisoned Apples was so good!!! I hadn't even thought of the Robin Hood element, but I totally agree that it is there! Thank you Clare! I've heard a lot of good stuff about it - hope I'll get to read it soon! FIVE POISONED APPLES! It's so good <3 I am in love with that book. Copyright © Rebellious Writing, 2018.